New Year’s Eve is often seen as a time of renewal, reflection, and planning ahead. While most people are excited to come up with new resolutions, according to the American Psychological Association only about 1 in 5 people are actively sticking to their resolutions by March. Clearly, setting resolutions is easy but sticking with them for 52 weeks is a bit more challenging. Nonetheless, when we look at people who have excelled in a variety of different fields, almost all of them have goals and a system for achieving those goals. Trends show this is the case across the board whether you’re setting an academic, personal, or professional goal. So if you’re looking to be the best version of yourself in 2015, take a look at the tips below that help with both setting and achieving your resolutions. People who are specific about their New Year’s resolutions are 10 times more likely to fulfil those resolutions than those who aren’t. 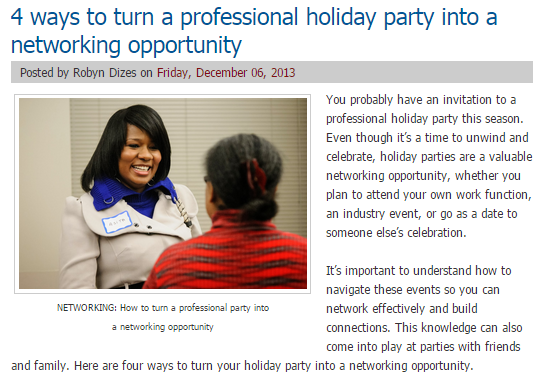 So for example, rather than having a resolution to “get a better job,” think in terms of “I’ll get a job in ____ field, in ____ position, and making _____ salary.” Take it a step further by thinking about the logical actions it will take to achieve the goal and write out plan for doing them. By doing this you’re able to focus on the specific things that will take you closer to your goal. chance to make meaningful progress. “Shoot for the moon and if you miss, you’ll still land in the stars” is a nice maxim, but if you never truly believe you’ll hit your resolution, you’re much less likely to even get started. So consider starting with a smaller goal to build momentum before tackling the larger goals. Writing your resolution down should be your first step to achieving it. This gets it out of your mind and forces you to think through the goal and be clear about what it is you’re trying to achieve. In 1979 Harvard conducted a study that asked students, ““have you set clear, written goals for your future and made plans to accomplish them?” Though many of the students had goals, only 3% had taken the time to write them down. Ten years later when the students were interviewed for a follow-up, the 3% who had written goals were earning, on average, ten times as much as the other 97% of the class combined! 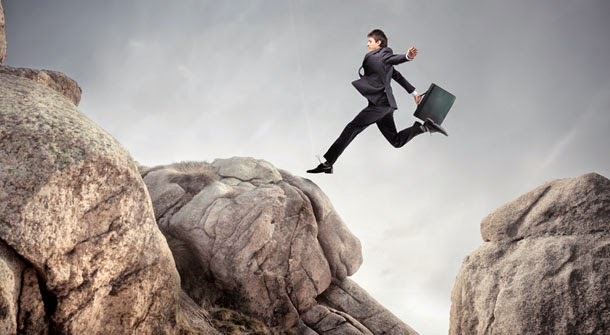 You’ve heard many times throughout your life “the journey of a thousand miles begins with the first step.” While that’s true, taking that first step knowing that you still have 1,000 miles can be pretty daunting. The odds of you completing the thousand-mile journey will be greatly increased if you break the journey down into ten 100 mile journeys and take the time to reflect and reward yourself at each milestone. 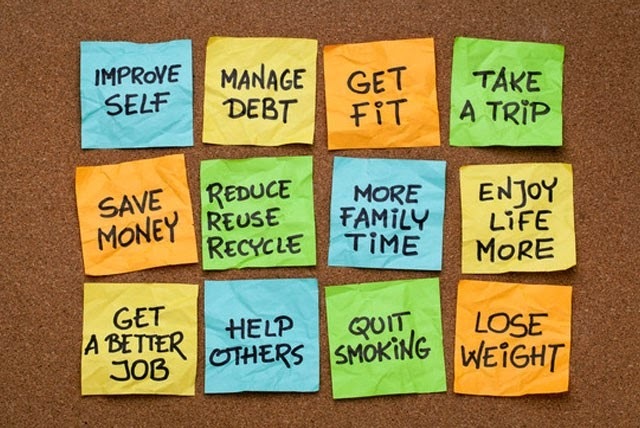 Organize your resolutions into smaller, more manageable goals that build toward a larger goal. So for example, if your goal is to lose 25 pounds this year, you’re much more likely to succeed if you set a goal to lose 2 pounds per month and reward yourself at the end of each month when you’ve reached that goal. Keeping a record of the progress you’ve made towards your resolution is one of the best ways to hold yourself accountable while also keeping your resolution top of mind. There are many different web and mobile apps that can help do this, but a notebook journal may work just as well. By keeping records, you’ll be consistently working on your goals and able to see the progress you’ve made, which is a huge motivator in and of itself. Keeping records of your goals will also give you the opportunity to reassess your goals and allows you to make adjustments for circumstances you may not have thought of when first setting your resolution. 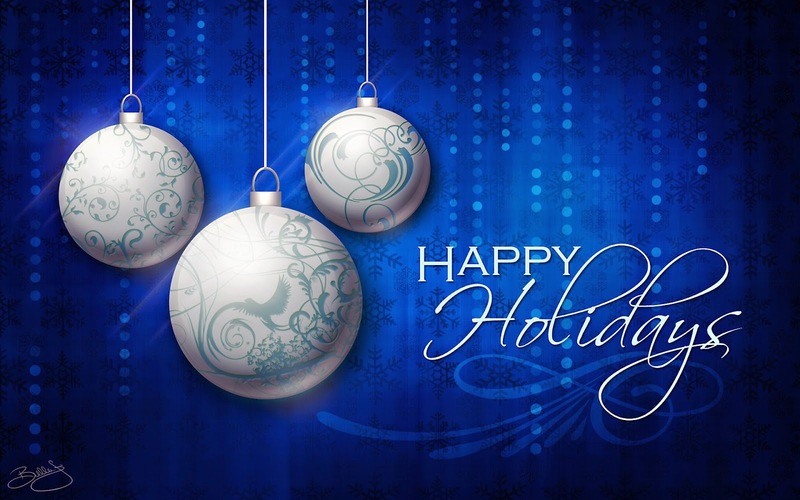 Best of luck on your journey through 2015! May this be your best year ever! Thank you to our Peirce community members who participated in our annual American Red Cross blood drive. One donation can help save the lives of up to three people, according to the American Red Cross, so every donation truly counts! 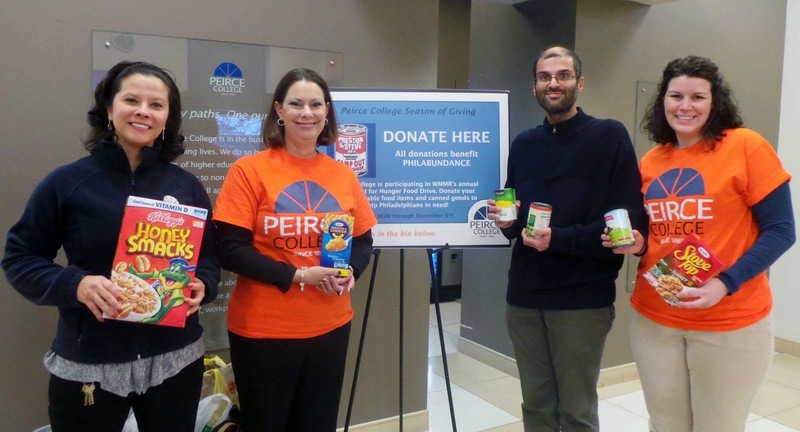 Peirce College also participated in Preston & Steve’s Camp Out for Hunger canned and dry goods donation drive to support Philabundance. We collected 195.5 pounds of nonperishable food items, which will help many Philadelphians and their families enjoy a hot meal this holiday season. 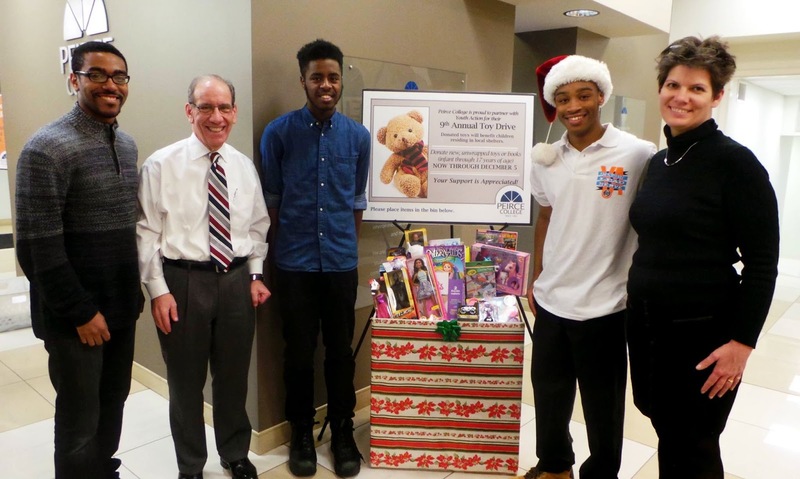 We also collected toys and books for at-risk children and teens through the Youth Action Toy Drive. These gifts will go primarily to children and teens living in area shelters or transitional and crisis housing in Philadelphia, and hopefully brighten up their holiday seasons. 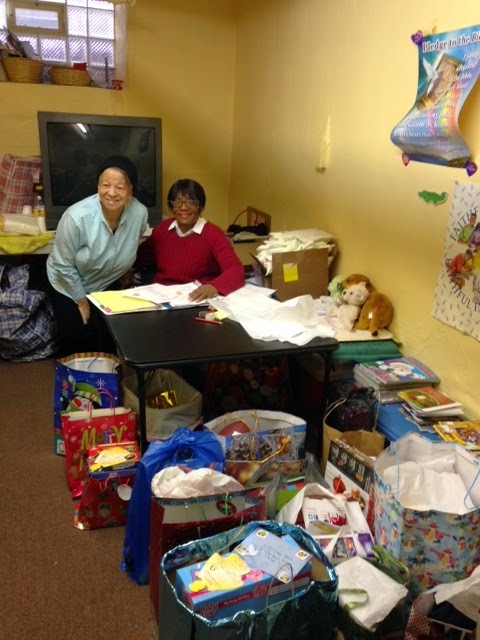 Additionally, a group of Peirce College faculty, staff, and students also collaborated to make a donation to Angel Tree- Prison Fellowship. The Peirce College faculty and staff have collected money the past five holiday seasons to purchase uniforms for elementary students in need at Thomas May Peirce Elementary School. This year we were able to raise money to purchase 187 uniform pieces, including cardigans, shirts, pants, jumpers, socks, and tights. Students who have been identified by the school’s staff will receive some of the pieces, and the rest will be kept in the nurse’s office and issued to students as needed. In its near century and a half of history, Peirce has developed a tradition of looking for ways to expand and offer relevant courses to students who might not otherwise have the opportunity to achieve a quality college education. Already a nationally recognized business school by the turn of the 20th century, Mary B. Peirce was interested in expanding the school’s scope beyond the United States. Peirce administrators traveled to Latin America to meet with educators there to see if there was an opportunity for Peirce to enroll students from Cuba, Nicaragua, and other countries in Central and South America. 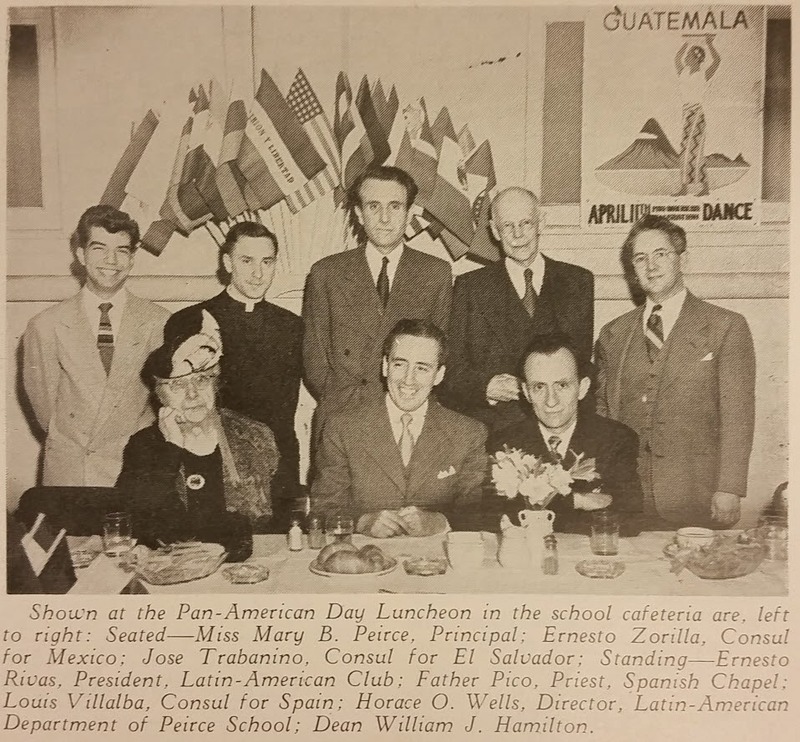 The end result was the “Spanish American Department” which offered business and other courses taught in Spanish, as well as English language courses. 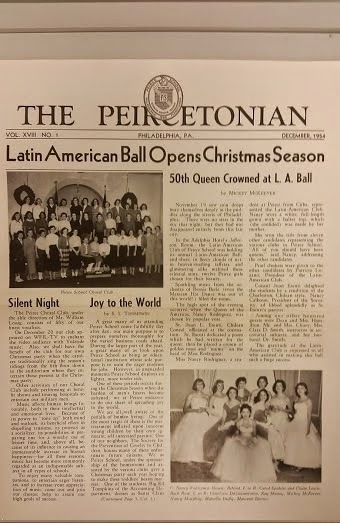 In addition to the coursework, there were several events, activities, and organizations sponsored by the department, including an annual Latin American Ball and the Latin American Club. Starting a new program of this scope wasn’t simple. 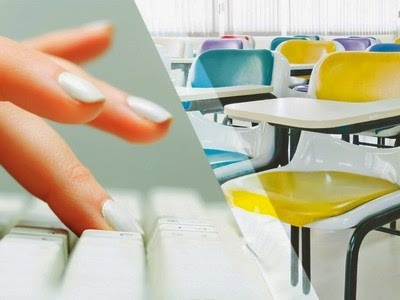 Bi-lingual faculty members were hired, additional classroom space was rented, and Spanish language marketing materials were created. Manuel Vera Estanol, an educator from Mexico was hired to run the department. 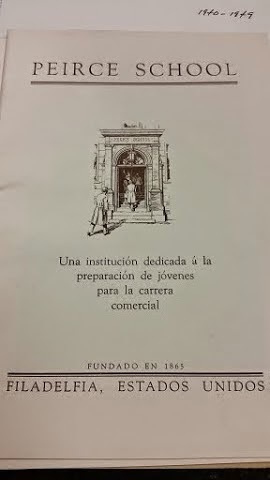 School Director Louis B. Moffett met with existing faculty to introduce the program in 1902, and faculty members were given lessons on Spanish name pronunciations and basic phrases to help the new students feel welcome. 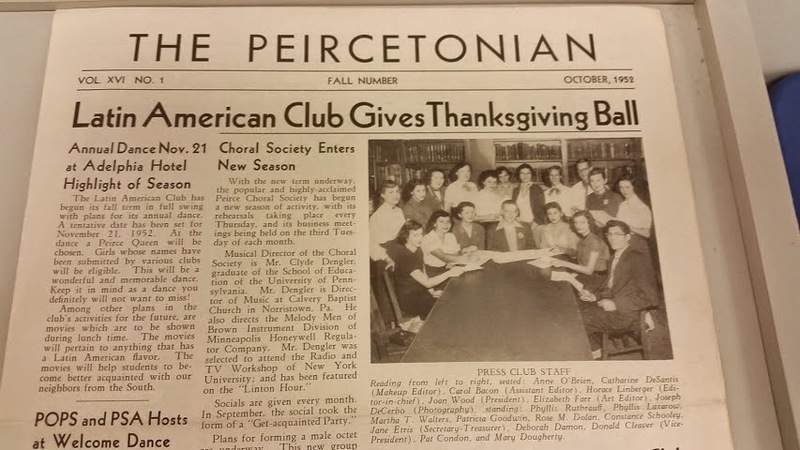 The program lasted over four decades, during which time the Peirce family and other Philadelphians hosted hundreds of students, some of whom took positions in the United States after graduation while others began careers in their home countries. Based on the success of the program, Mary Peirce was selected to be on the board of governors of the Washington-based Pan-American Association. A few months ago, we had the privilege of a visit from the grandson of one of the graduates of the department. He told us his grandfather (who emigrated from Cuba in the 1920s) always talked about his time at Peirce fondly, so a visit to Philadelphia had to include visiting his relative’s alma mater.